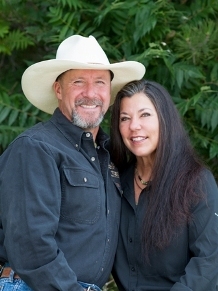 Since its inception in 1995, Troy and Kim have been the backbone of Crystal Peaks Youth Ranch. Together they have over 50 years of combined experience in reaching both children and horses that have known abuse and neglect. Serving as Chief Executive Officer, Troy oversees all of CPYR ministry. Troy is also an author. His first book Average Joe was released in 2011. To date, Kim has authored four books; Hope Rising, Bridge Called Hope, Blind Hope, and Fierce Beauty. Serving as Chief Communications Officer, Kim provides critical communication and leadership through her speaking ministry and in every aspect of Crystal Peaks. Both Troy and Kim are accomplished communicators and travel nationally to speak at conferences, churches, universities, similar ministries and other venues where a message of challenge and hope is desired.